The Classic signet has always accented the gentleman in much the same manner that fine clothing fashion does. 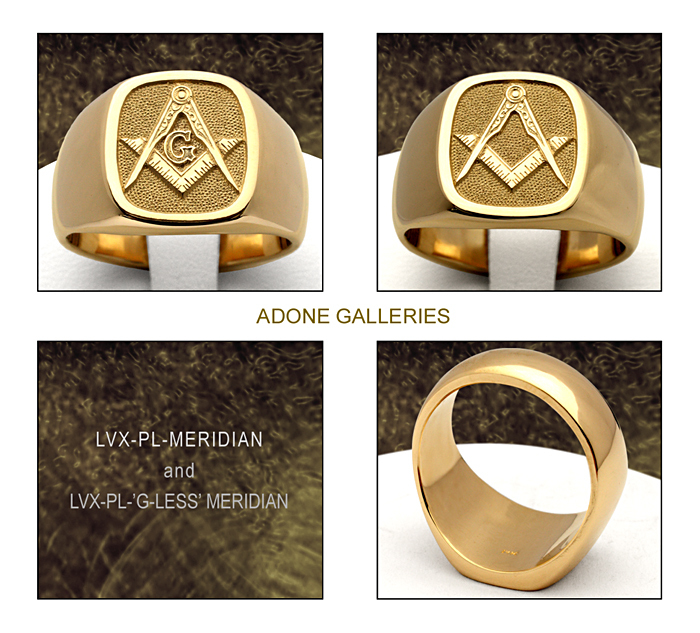 The LVX-Meridian signet ring is modern in design with a simple and clean sophisticated crisp look. Its styling is traditionally classic yet fresh and carries just the right amount of sparkle from its well defined hand engraved top. Each ring is handmade with care and attention to detail and is sure to be a Freemason ring that can be proudly passed down as an heirloom. Haute fine luxury jewelry hand engraved Master Mason signet rings and Masonic cigar bands and custom band ring or monogram rings. 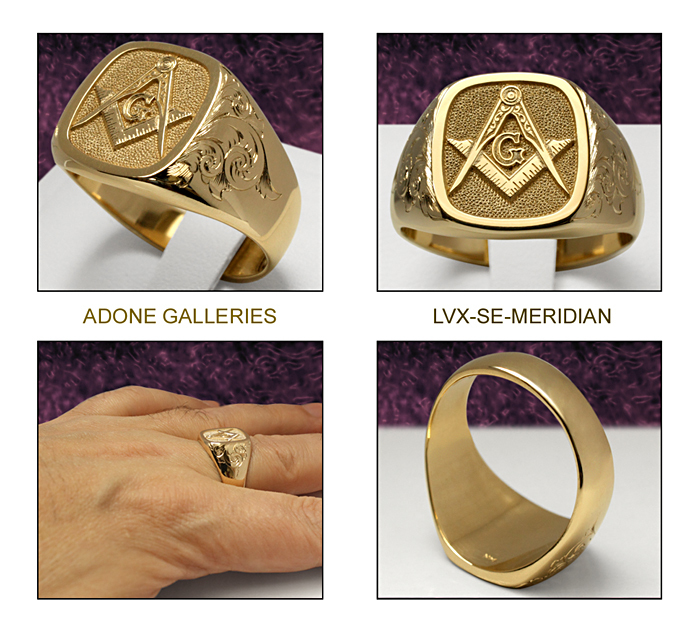 Meridian Mason signet engraved LVX-ARKUS, LVX-C-ARKUS-Skull Mason cigar band rings and custom Freemason jewelry, crest signet rings.